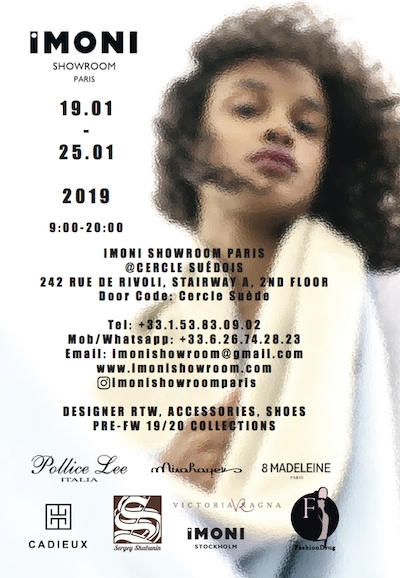 IMONI Showroom Paris is a multi-category showroom & press office. Moni Rab is a fashion entrepreneur with a 12 year carrier in fashion brand management. 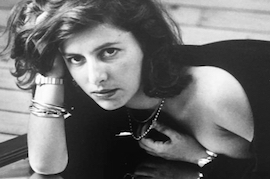 She is also the founder of IMONI Showroom Paris, a multidisciplinary showroom, working with exclusive designer labels from all over the world. She has extensive branding and marketing knowledge that she gained through her academic background - Phd candidate in Luxury Marketing and professor in Luxury Branding & Product Development at ISC Paris - and on terrain as top executive of major FMCG companies across two continents.